Don’t let the chilly fall air keep your family indoors this weekend! There are lots of fun fall festivals, art opportunities, cultural events and more happening all over the Boulder area. Have a fun weekend! When: October 5 – 6, 2018, details here. The 7th Annual Longmont Oktoberfest will be a fall gathering to remember featuring JJ Grey and Mofro. 10+ breweries, local food, and games for all ages. 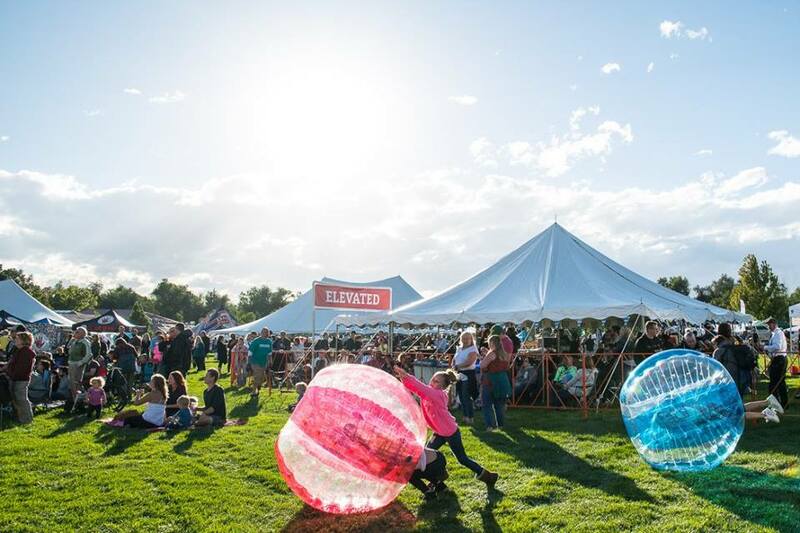 Ranked as a “Must Visit Oktoberfest” by DRAFT magazine, Longmont Oktoberfest celebrates the summer’s transition to fall on October 5th and 6th at Roosevelt Park. Pull out your lederhosen and dirndls, grab a pretzel or brat, and don’t forget a pint from your favorite Longmont breweries while we support out Longmont charities. Kids activities by Dizzy’s Fun Center and Home Depot. Presented by the Left Hand Brewing Foundation. Longmont Oktoberfest will be held at Roosevelt Park, 700 Longs Peak Ave, Longmont, CO 80501. Friday Admission $15, Saturday Admission $5, tickets available here. The Town of Erie‘s Miner’s Blast features activities for the children, more crafts, more “treasures”, more equipment for Touch-A-Truck! Tickets will be sold at the entrance and will allow everyone the opportunity to get scared inside the haunted house, ride the hayride, get lost in the maze and much more. Every child receives a complimentary pumpkin. In addition to fun kids activities, adults will love the seasonal food vendors and beer garden, stroll down the streets filled with spectacular vintage cars at the annual Garage Rats Car Show and visit the petting zoo! Live music from 12:00-4:00PM featuring Center for Musical Arts Jazz Trio directed by Steve Christopher and ENERJAZZ. Erie Miner’s Blast is held at Coal Creek Park, 575 Kattell Street, Erie. Admission is $10/child 3 years+. Adults are FREE. Courageous Soap is offering a parent/child soap-making class, the perfect way to spend some creative bonding time with your child/tween/teen. Glycerin (melt-and-pour) soap is the perfect medium for beginning soap makers of any age, whether you’re looking for fun and fanciful gifts or sophisticated jewel-like minis. Learn clever techniques to make your own elegant soap using layering, embedded designs, scents, special flourishes and cheerful colors to a variety of molds, you’ll leave with beautiful products packaged up for the holiday and wonderful memories of creating lovely, yet practical, soap art together! Register here. The annual Paws in the Park will be held once again at the Boulder County Fairgrounds. Grab your friends and family and join the Longmont Humane Society for its annual walk through beautiful Rogers Grove followed by an entertaining pet-friendly festival, all to benefit the animals in need at the Longmont Humane Society. Paws in the Park will be held at the Boulder County Fairgrounds, 9595 Nelson Rd, Longmont, CO 80501. Register here. $5 donation for non-walkers. Margaret Zylla of Sacred Oils Studio is coming to Shelly’s Garden Country to teach fun pumpkin painting techniques. Bring the kids to paint the silly face pictured on their very own pint-sized pumpkin! RSVP on facebook or call the store at (303) 466-6761 to reserve your spot today! Details here. Shelly’s Garden Country is located at 4181 W 120th Ave, Broomfield, CO 80020. The class fee is just $10.00 and includes all supplies. It’s a concert, it’s theater, it’s an interactive art project . . . it’s the kind of event that will have the whole audience moving, shaking & making! Boulder’s beloved science and nature kids’ musicians Jeff & Paige put the next generation center stage in this interactive program perfect for kids ages 2–15—and no, the audience won’t be asked to stay quiet or seated! Exuberant participation is encouraged as Jeff & Paige turn the stage into a creative playground, accompanied by piano, violin, and multi-media visuals. During an interactive art project with Jeremy Collins, all the kids are invited to climb on the Boulder stage to color and create together. A selection of family-friendly adventure & environmental films promises to inspire the next generation of storytellers. Adventure Film Festival will be held at Boulder Theater, 2032 14th St, Boulder, CO 80302. Tickets $10, available here. It’s time for the fall open house and community celebration at Ollin Farms. This annual harvest festival includes music, pumpkin patch, hay-rides, square dance, community recipe sharing and plenty of fall-themed treats. Admission is free so gather up your friends and neighbors and head out to celebrate fall on the farm! Ollin Farms is located at 7718, 8627 N 95th St, Longmont, CO 80504. This event is FREE. When: Saturday, October 6 – 8, 2018, full schedule here. Boulder Valley’s Indigenous People’s Day is a special time for the community to embrace the beauty of indigenous culture and history. The event features the Arapaho Trading Camp, where indigenous artisans sell traditional art & jewelry along with food & beverage in order to support their tribes and other Indigenous Peoples Day celebrations in the future. In addition, the IPD Pow Wow is a chance for the community to learn about indigenous traditions and practices through crafts, traditional dresses, song, and dance (held all weekend from 12PM – 6PM). The IPD Parade (Monday, October 8th from 8AM – 11AM) will be the culmination of the weekend’s celebration and a profound moment of healing and reflection for the people of Boulder Valley and all along the Front Range. For all the details, click here. Boulder Indigenous People Day will be held at 900 Canyon Blvd, Boulder, CO 80302.